Why have sustainability? Because humanity has overshot the capacity of the earth to sustain us indefinitely. We are prospering at present by using up nature’s stored resources such as soil, freshwater, biodiversity, fossil fuels and metals and in many instances we have already reached the limits of what the earth can provide. The graph below shows that around 1970 humans reached the biocapacity of the earth. Biocapacity is the earth’s ability to provide the resources we consume. 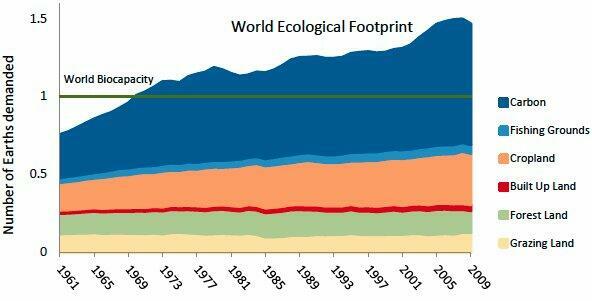 The graph shows that humanity currently needs about 1.5 earths to sustain our current consumption. 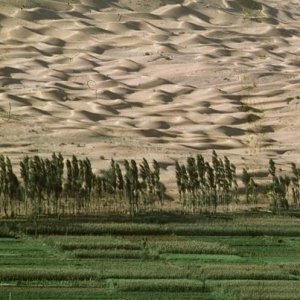 This might seem impossible – how can we consume more than the earth can provide? The answer is that we are making up the shortfall by using up the earth’s natural capital like freshwater, soil, biodiversity, coral reefs and wetlands. These crucial resources will run out unless we change. It is all too easy (and depressing) to be negative – the problems are dire and the solutions seem complex and difficult. However, there are many, many direct and indirect benefits to being sustainable and by focusing on these we will find out that the solutions aren’t so difficult, the problems will disappear and we will all be better off.